Could you explain a bit about Spark Plug? Are you planning to bring it to market? 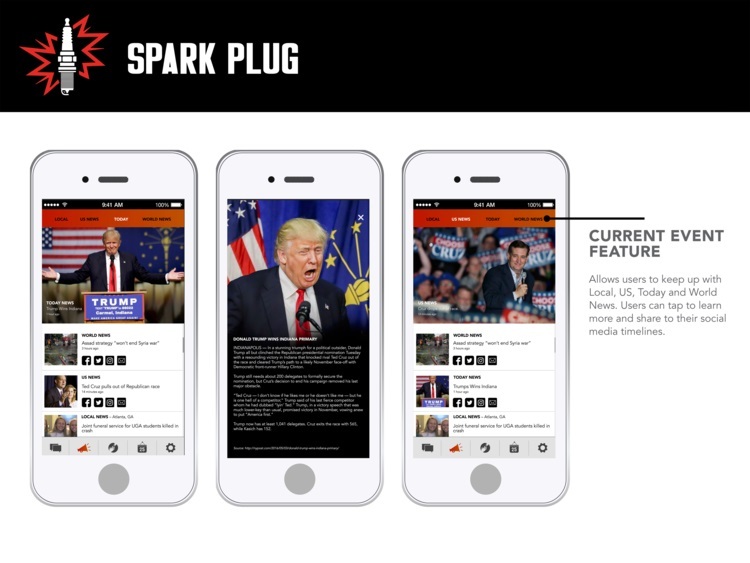 I created the app concept to help combat slacktivism, and I named it Spark Plug because a spark plug is something or someone that starts or forces a change. This was all inspired by the Black Lives Matter Movement and other current injustices happening amongst African-Americans. The prototype is available online. 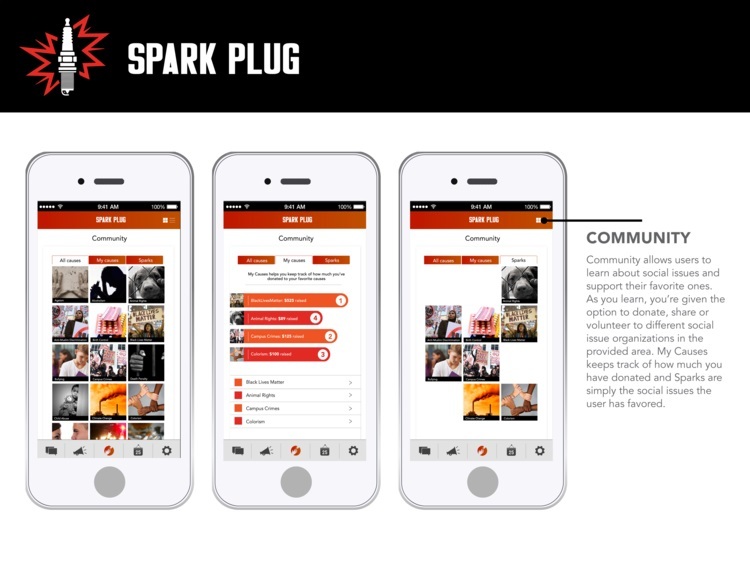 I believe Spark Plug has the potential to be a great tool for social media users and social media activists to be more involved in their communities. 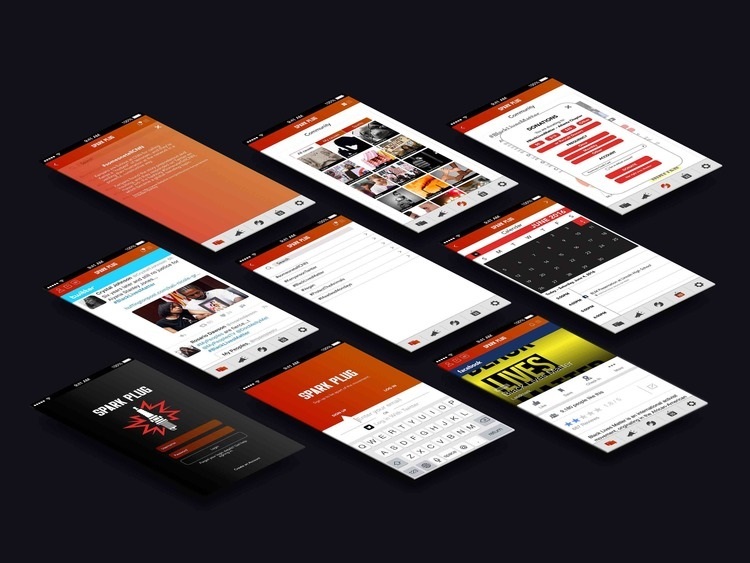 Spark Plug allows you to organize events such as protests or demonstrations, donate to various social charities, and to inform the community and activist groups of the latest updates and announcements. Initially, it was just for my MFA thesis project, but with recent occurrences, I am seeing a demand for an application like this. I would love to bring Spark Plug to market. How important is the communication of a narrative in your design process? It was important for me to use a simple design and UX that my target audience was familiar with. A narrative in the design process is vital for any design solution. As graphic designers, we are responsible for creating a visual story for our audiences. We are storytellers, so the narrative has to be clear and well thought-out before it even reaches a design. What are your key tools in your design process? A key tool in my process for creating anything is mapping/brainstorming. The ideation stage is so important; it helps you get all of your ideas out of your head and onto the page. From brainstorming, I draw sketches then create prototypes to test the final production. Which do you prefer: working in a small team at a small agency or working freelance? I prefer working in a small team or agency. Sometimes having someone look over your work, give critiques and be there to bounce ideas off each other is a dope environment. Not that there is anything wrong with working freelance, but having the option to work with a group is cool for me. I am not working on any personal projects at the moment; I am doing freelance work while searching for a job.